The wind was blowing, and flakes were stirring. Their frenzy was only matched by the hectic bustle of holiday shoppers. On the corner, amid this all, in front of a department store stood a string bean of a Santa Claus ringing his bell, keeping company with the cold and a red hanging pot like it was his solitary chum in all the world. Suddenly a large stretch limousine with three zip codes pulled into the curb, where then a chauffeur and his cap quickly hastened from the driver’s seat, out and around the car, to open the door for a man whose cufflinks could probably have had their own Swiss bank account. The waited upon man’s face gleamed with a shave so close it would be days before he would have anything resembling a five o’clock shadow. He smelled of vintage cologne, old money and a penthouse on Park Avenue. “Merry Christmas,” the benefactor said, as he was instantly drawn, even with the crowd about him, to the spectacle in red, whose beard hung 2 inches too low below his chin so that he looked like he might have had two mouths, one closed and the other gaping, and squeezed a fifty dollar bill into the dry cauldron. “Thank you very much, sir,” the two mouths throbbed their gratitude, as the man nodded and proceeded past him and through an opened door held by his chauffer, and into the swallowing jaws of Christmas commerce, disappearing behind a wall of gripped bags and groped boxes in the arms of dutiful shoppers. “Have yourself a merry little Christmas …” wafted out of small speakers just above the department store’s entrance way, and though it could transport you to fond memories, it blended well with the horns, and the groveling car and truck engines, and the stomping feet in the slush of passersby, and was no way out of place. The man in red dearly hoped what the song beckoned. The man in red looked down, forgetting his sciatica, and through a grimaced smile, saw a small girl, no more than five years old, holding out a nickel. “From my piggy bank,” she said. “Hope it helps the reindeer.” Even through her pink boots he could see her curling her toes as she lifted the coin to him on her mitten. The man in red, going by the name Santa Claus these days, stalled for a moment. He could even see her toes curling, because her boots had holes in them. Her mittens, not to be mistaken, were old socks. “You want to give me that? All of that?” he said. “Will you?” the girl asked, as if she’d been denied so many other things in her past, that she expected to be denied this too. The man in red didn’t know what to say. He didn’t know what to do. He felt he couldn’t very well take this impoverished child’s last piece of change … and then the girl said words which more than equally startled the man. “Wh-what do you mean?” the man asked. What the words suggested he didn’t want to believe. “Put it on your kettle,” the girl said. The girl, given the invite to do so, was by no means timid, and quickly stationed her winged figurine just behind the slot on top where coins and dollars could be inserted, and then before stepping away plunked her nickel into the pot before the angel’s watchful eyes. A man in a trench coat, passing by, touched by this humblest of pictures, followed her example and inserted a few bills. “Thank you, sir,” the man in red said, and dipped his head to him, and then to a woman, and then another gentleman as there appeared to be a significant increase in the amount of donors suddenly. They gave coins. They gave bills. They gave ones. They gave fives. They gave tens. They gave twenties, and each time someone gave something, their eyes rested on that clay angel, and then that little girl with the sock mittens and open-toed boots, and this went on for the rest of the chilled afternoon. The day passed. The bright grey winter sky turned less bright, and the street lamps subjugated beneath the dusk lit their halos for the greater coming darkness, very much like that child. The clunking of coins into the pot had ceased a long time ago. There was too much money in it for the coins to reach the bottom. “Thank you, little darling,” the man in red said, seeing it about time to close up. “It was the angel that did it,” the girl insisted giddily. “Did he? Maybe it was the beard.” He pulled up on it. “It tends to droop,” the man said. The man in red, bewildered, closed his eyes and shook his head and laughed in utter disbelief that this little girl wasn’t a midget, with such prophetic words that did not spill from her in a splatter, but were consciously poured gently into a glass with complete comprehension of the vintage. Then the wind suddenly blew a chill into his face, and awakened his eyes, and the bell in his hand jingled. The girl was gone. “What?” Too many footprints were in the snow to follow hers, but as he noticed how so much of the traffic was now gone at this meal hour, and the great distance to the next corner, even a child on the run, he thought, couldn’t cover so quickly, he greatly doubted that the girl had left any footprints at all … except for those in his heart. Melancholic – A condition that affects honeydews, cantaloupes, and watermelons, and usually leads to a noisy garden. It was a hot summer day in July (I don’t know what other days there are in July), and I was mowing my lawn. I could barely hear myself think over the lawnmower’s pugnacious motor, so, in all honesty, I couldn’t be responsible for the chipmunk … or the small moose I ran over, for that matter … but the carcasses are biodegradable. Am I correct? It wasn’t like I’d poured bleach out there now right? … I’m sorry. I just wanted to get ahead of the environmentalists who will be all over this one I’m sure. Now where was I? Oh that’s right, cutting grass. It was noisy. It was hot. My shirt was painted on with sweat (girls control yourself, damn, I told myself I shouldn’t have used that provocative a description, and now I’ll pay the price, oh well) and I was pushing a lawnmower, which not only lacerated my eardrums, but constantly reminded me that it wasn’t self-propelled … and that I was covered in … bodily … sweat (No? … Not working for you anymore? Sorry). Then I saw them. At first I thought my mower was under attack, in retribution for the two dead animals I’d run over (of course I’d accidentally run them over when they were alive, alas, the retribution), but soon realized (twelve years of schooling can help you with this) they were bees … or wasps … or … hornets (or maybe not). I settled on the wasp one. I think bees do spelling and hornets play basketball, and there was no sign of either, so they were definitely wasps. There’s something to be said for self-education, aye? So these wasps, which clearly hadn’t had a substantial education either, were all mustered in a cloudy blitzkrieg above my mower, surely wondering what sort of sun damage had made this animal’s hide so impenetrable. I backed up to see what the cause of this commotion was, and found a hole. There was a hole in the ground that these little buggers had set up shop in, and me without a penny of rent from them. I was like oh freakin’ great. I remembered seeing something like this at a graveyard, and imagined there’d been some correlation between it and the abundant amount of graves there. This could be dangerous. This could be painful. But I had a family to protect. I could throw my own safety out the window for their sake, but then my wife would probably say, “That was stupid. Why weren’t you more careful?” I wonder if the Lone Ranger had had it this tough. “Okay, don’t rush in,” I thought … and then quickly back-and-forthed the mower over the hole in combat, believing the blade was doing the trick and what I couldn’t see under the hood wasn’t disgusting since I couldn’t see it. Damn if I didn’t pull the mower back and there was more of them, and I don’t mean more pieces. Unlike grass, they didn’t have roots, but a choice in their means of death, and it appeared they hadn’t yet settled on how they wanted to go. That was the nine or ten I’d run over, but now there was like fifty four. The mower was loud. I hadn’t heard their bloody screams, so I gathered their calls for assistance were more fart oriented, but regardless, effective. I had to retreat. Clearly outnumbered, I would need to take that number out. So how do you take a number out? When it comes to wasps, you take them out after dark. That’s when they all go back to their nest to sleep. I procured a shovel from the garage, and waited till just before eleven, when it was too dark to see with naked eyes alone. Shorts and a t-shirt weren’t going to do. I put my jeans, a winter coat, gloves, and a fishing hat on, and then covered my head and face in a hood of mosquito netting. You didn’t think I knew what I was doing, huh? In one hand I was armed with a flashlight, in the other … the shovel. Stepping out into the darkness, I quickly became quite aware of the prowess of the human mind, in comparison to the pests of this world, when the beam of my flashlight hit the quiet and vulnerable hole in the backyard. This was too easy, if I hadn’t been sweating so profusely, but I figured, tomorrow they’d awake to their own stupidity. I took the shovel, and with a few scoops and some solid stomping with my foot, not only filled the hole, but put them in their own little tomb. Their choice of death had been taken away. Ha! Well the next day redefined who was stupid, and what was not. The use of the pronouns, as you might have noticed, was a metaphoric dictionary. Damn if there weren’t more of them … not wasps … but holes. What the hell. The underground hut had become an underground village, and the activity about it was boisterous. You know what? There were probably more wasps too. I had to take this to the next level … internet research. “Don’t cover the hole. They will only make more.” That was the first bloody line of the first website I visited regarding wasp infestation. Damn, I knew I should have gone to grad school. I had not only done what was wrong, and the first thing not to do, but had created a bigger problem for myself. “So how do I handle it?” I muttered to myself like a pagan praying to the almighty web page. The page was more of a chat room on that discussion. Some posts mentioned pouring gasoline down the holes and lighting it. … A-a-a-all right? I was still a bit mystified when a posted comment argued that that would contaminate your dirt and make it unsafe for planting. I mean, in my head I had a picture of World War II and Hiroshima. What channel was he on? “Use a mild dish detergent and water,” another said. Drown them? That’s right; they had wings, that didn’t make them good swimmers (remember twelve years of school). And the soap would make their wings useless, the poster had continued. So even if I was wrong about the swimming, I thought, and the wings were actually good paddles, the soap would have them begging for an inner tube. “Use a hose,” the post added. Why of course, I agreed, like could there even be another way? They’re going to get a Tsunami, not a rain shower. Well night went and the next morning came, and there were those wasps again, but looking freshly cleaned and sparkling … a few of them I swore had their little bathing suits on. Obviously that didn’t work, and I prayed the dish detergent sinking into the water table wasn’t going to give some poor child a third eye. But I should have seen the signs last night as I pumped enough water down those supposedly miniature holes to fill an Olympic size swimming pool and put out a small forest fire, and still it never backed up. The hole had a perpetual thirst. Not only were they still here, but that subterranean city that they’d forged had to be huge. I imagined an endless population of these yellow-sweatered terrorists, and, they were the wiser. Last night … do you believe this? … they’d had sentries on guard, and one of them stung me on the ankle. I’d been pretty sure my brain was bigger than one of their whole little bodies, but I was having my doubts now. Forget hurricanes and tornadoes. Mother Nature’s greatest wrath was neatly packaged, though no less destructive, inside these flying bugs, ready to explode upon the human population. Calling for further education outside the one chat room I’d visited, I expanded my search, and found, there, laid before me on my monitor screen, like the tablets given to Moses from God, a way to survive. As a cross between a National Geographic expedition and The Blair Witch Project, maybe I wasn’t looking through a camera that was shaking, but, underneath that mosquito netting and my heavy breath rebounding off of it, I might as well had been, I headed into the deep recesses of the night with only a flashlight in hand and a shovel … and a glass lasagna tray with some glass vases. Four or five wasps were protecting the nest, but fortunately I was covered from head to foot, with an addition of boots to secure the safety of my ankles this time out … and yes, I made sure the neighbors weren’t watching. I swatted the miniscule beasts with my shovel, and was careful not to wake the other members of the household below, and then went to work, turning over the glass vases and the glass lasagna tray to cover the holes. When this was done, I shoveled some dirt around their edges to seal them properly, and slightly padded them with my foot. What the Dickens is he up to? Didn’t he cover the hole before, only to find it multiplied into more the next day? I did, and I wasn’t all too sure it wouldn’t happen again, but the website had sounded so sure of itself, so who was I to argue? I took my shovel, and crushed another straggler, and went inside to wait. The next day, my backyard looked like the result of a domestic quarrel, with tossed glassware lying all about. At closer inspection, the vases and lasagna tray had fogged up a little, but I could see the little buggers buzzing about in a fury inside them. With the light of day, I again checked for any possible escape routes, but found none. This was amazing. There were no new holes. As the days went on after that, and the buzz under the glass decreased more and more each day until there was none, I saw that it unbelievably had worked … and that I, unquestionably, was smarter than them. You’re right, but that’s not why I’m smarter. I’m smarter because I know if I’m surrounded by glass, even though the sun can get through, I’m trapped. It’s a funny thing. The wasps, if they can see the light, don’t know they’re trapped. Their inferior brains, or rather their nerve endings, tell them they are not encased, because they can see the sunlight, and that’s enough for them to stay where they are, day after day, never considering digging themselves out, though they surely could, until they starve to death. Now, if I’m hungry, I know to open that glass door to get into that supermarket … so … ha … I am smarter than them. Give out a hoot for education. It makes a difference, yeah! Real: The wasp situation and the outcome, and most of everything in between. Not Real: No chipmunks or moose met their demise as a result of this. Journal log entry – A couple of weeks ago I uploaded my first post since August to let you know I was still alive. During the past few months I’ve been working meticulously on my new unpublished novel, “Chalked,” which had had life first breathed into it on this very website. Now it’s done and I feel almost hopelessly lost. I wish I could sit down and start writing the next one, but I can’t, because now starts the legwork again, sending out query letters and samples to literary agencies, hoping for a bite … a nibble … a spittle of drool. Isn’t it so hard not to doubt oneself? I have to believe every author goes through this. I have to believe it or I’ll feel like I’ve missed the boat all together, neck deep in murky water with the sludge below pulling me under. It’s not that I doubted what I’d done when I finished, because I didn’t. I felt great about what I had accomplished. I complimented myself on it. But when I’m surrounded by my friends: Me, Myself, and I, I don’t get much more criticism than an agreeable nod and a hefty handshake that says, “Good deal.” And though eager to do it … it is also so hard to remove my story from such a sanctuary. I read articles on famous authors and their classic novels and how they were initially rejected. It’s comforting to the extent that it puts my person in the boat I might have thought I’d missed … but even in very good company, being turned down still hurts. It has me rereading what I wrote, but then wondering, to boost myself up, if it wasn’t the query or synopsis that was sent out which needed improvement. I find myself reading a published book, making note of my opinion of it, how it was written, and then running back to my manuscript to see if what I’ve done is up to par and comparably in the same league. This period of neither here nor there is in a surging ocean. One moment the masts are high, the wind’s in my hair, and I’m sailing fine, and the next moment I’m overboard with the chain of the anchor wrapped around my leg, seaweed up my nose, and headed for the drudgery of a sure wet bottom. But it not being hopeless, I rebound to my drier state, but it not being completely hopeful, I’ll take that plunge again, and rebound again, my emotions cyclic in nature to a stuck tack rotating in a flat tire. There are millions of people, and if only a small fraction of those read my book, I’d be a success, but the problem is, there are not a million literary agents and a million literary tastes to give me that opportunity. There is a gate, a very subjective gate, separating my work from the masses … and I hope it opens. 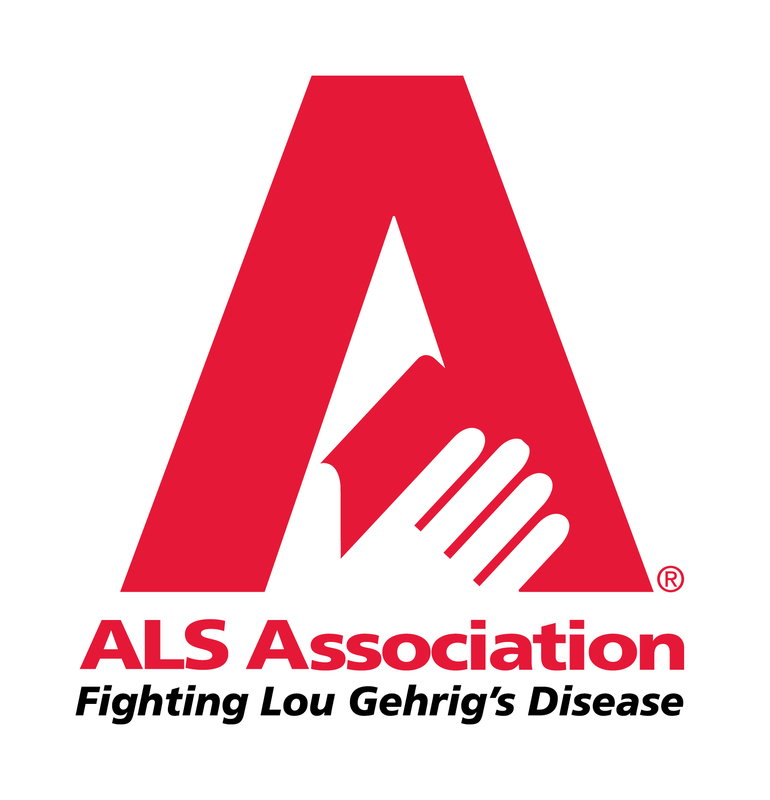 Journal log entry – I was nominated by my brother Stephen to do this challenge, to raise awareness for A.L.S., also known as Lou Gehrig’s Disease. My father died eight years ago from this awful disease. If you can, please participate, either by doing the ice bucket and challenging three other people to also do it, or by donating to www.alsa.org to help find a cure … or both. Thank you. Stereotype – A means once used for deaf people to appreciate music, but now outlawed due to its many delivered concussions … especially regarding Heavy Metal, thus the term: head-banging music.